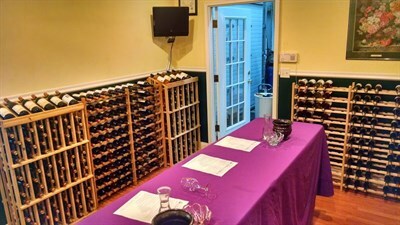 The wineries of the Patuxent Wine Trail have carved out a reputation of making some of the best wines on the Eastern Seaboard. Experience this bold new tradition while exploring the birthplace of Maryland along the Patuxent Wine Trail. Meandering through Calvert and St. Mary’s Counties and bounded by the waters of the Patuxent and Potomac Rivers and the Chesapeake Bay, the Patuxent Wine Trail is a wine lovers tour through the birthplace of Maryland. Experience the region's rich, colonial history. See unique, world treasures like the Ghost Fleet of Mallows Bay. And get out and enjoy Southern Maryland’s outdoor charms. 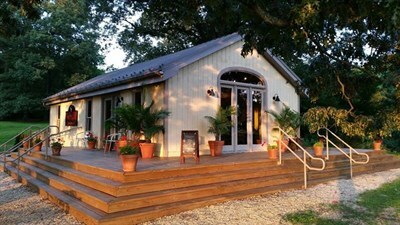 Dine on traditional Southern Maryland seafood and the bounty of this lush farmland. Explore amazing museums like the Calvert Marine Museum and the Patuxent River Naval Air Museum. And enjoy the fantastic nightlife and cuisine of places like Solomons Island and downtown Leonardtown. In just a short time, the wineries of the Patuxent Wine Trail have carved out a reputation of making some of the best wines on the Eastern Seaboard. Experience this bold new tradition while exploring the birthplace of Maryland along the Patuxent Wine Trail. Explore Maryland’s maritime traditions, come face-to-jaws with a 37 foot-long megalodon shark recreation, and meet Calvert, Chessie-Grace, and Chumley, the museums adorable river otters. Dig for fossils including 23 million-year-old megalodon shark teeth at this remarkably beautiful park on the banks of the Chesapeake Bay. Bid on dozens of Amish quilts and other hand-stitched and hand-made items at this traditional Amish auction in St. Mary's. Bring a Kayak or canoe. With so many great opportunities to paddle along the Patuxent Wine Trail, you won’t’ regret it. Just as the nearby Cove Point Lighthouse has guided mariners for nearly two centuries, the Cove Point Winery serves as a beacon for a modern generation of discerning wine aficionados. Serving up an intriguing menu of fruit and dessert wines, Cove Point Winery truly captures the flavor of Chesapeake country. Capitalizing on their rich, fertile soil and the stately old tobacco barn that has been converted to a tasting room, Fridays Creek Winery offers premium wines in a warm, comfortable environment. The Wine. The View. The Moment. Three essential ingredients that meld exquisitely to make Perigeaux Vineyards Winery an unforgettable addition to Maryland’s burgeoning wine scene. Perigeaux takes its name from a small village in France where Mark Flemming, one of the owners, lived and studied wine making. It’s hard to believe Port of Leonardtown has been with us for less than a decade, because in that time, they’ve quickly staked a name as one of the nation’s finest new wineries. Harnessing the growing power of a collective of Southern Maryland growers, Port of Leonardtown has made a habit of producing double-gold winners like their unforgettable Barbera Reserve 2015 and mind-blowing Old Line Red, a wine truly worthy of Maryland’s Old Line mantle. Spread luxuriously across 300 acres of ideal, Southern Maryland soil, a trip to Running Hare is one not soon to be forgotten. With its neo-Tuscan architecture, crisp whites, and rich, complex reds, a trip to Running Hare can feel like slipping into the Italian countryside. You’ve probably got some vivid ideas about island living, but let us add one more: amazing wines. Solomons Island Winery’s tasting room right next to the island pier is a perfect place to toast a sunset. Don’t miss out on their exceptional, small-batch wines. With wines produced exclusively from their own meticulously cultivated grapes, the wines of Thanksgiving Farm Vineyards & Winery are a labor of love that match the finest, European-style dry wines. Bring home a bottle for your table and make every meal a Thanksgiving feast. After exploring the beautiful scenery and amazing wineries of the Patuxent Wine Trail, make a left and head up the Potomac to National Harbor. This beautiful getaway on the shores of the Potomac is home to destination shopping, great nightlife, the giant Capital Wheel, and the MGM National Harbor Casino. The Maryland Colony was founded by the Calvert family in 1634. The settlers arrived from England on two, tiny ships, the Arc and the Dove. They landed on St. Clement’s Island and founded St. Mary’s.